Do you have dental anxiety? If so, you’ll want to ask our dentist if nitrous oxide is right for you. Nitrous oxide (also called laughing gas) is perfectly safe to use during root canals, fillings, and other procedures. Not only does nitrous oxide help you relax in the dentist’s chair, but it wears off quickly so you can drive yourself home or back to work. Our laughing gas dentist understands that some patients need help getting the dental care they need, which is why he offers nitrous as an option. Dental nitrous oxide is safe to use on people of all ages. During the procedure, we slip a mask over your nose and ask you to breathe deeply. It won’t take long for the nitrous oxide to help you feel more relaxed. Likewise, nitrous oxide is quick to wear off after the procedure. Dental nitrous oxide is safe to use on people of all ages! Nitrous oxide doesn’t put you to sleep, which means you’ll be able to cooperate with our emergency dentist if he needs you to tilt your head or open your mouth wider so he can access a tooth. You also won’t feel groggy coming out of the procedure like you would with oral sedation or IV sedation. 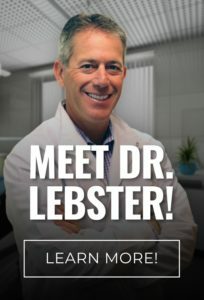 Dr. Lebster DDS offers sedation dentistry so patients with dental anxiety can get the care they need. To schedule an appointment with our Holland laughing gas dentist, call RediDental Emergency Dental Care at (616) 796-3200.